Главная / Иностранные языки / Презентация по английскому языку по теме "Television"
Презентация по английскому языку по теме "Television"
began experimenting with sending still images using radio waves. 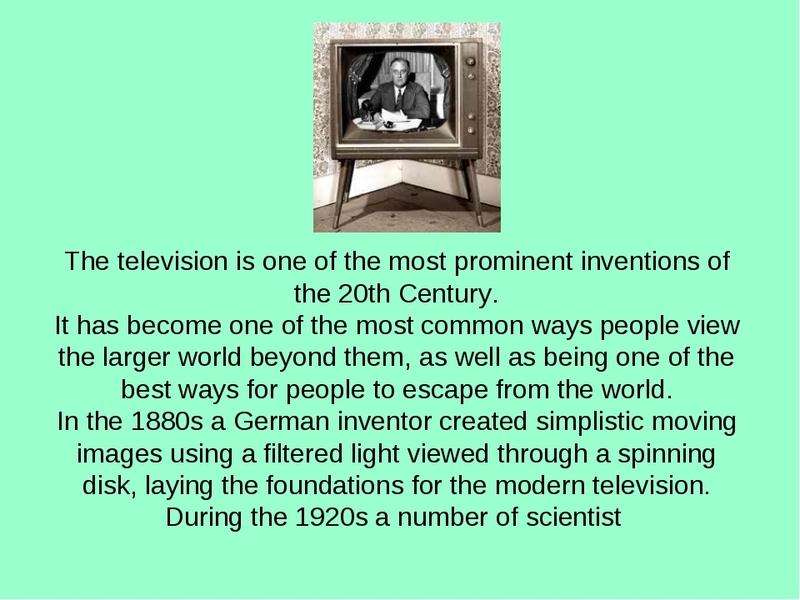 However, it was in 1928 that General Electric first combined the idea of a device that could show moving images with the technology to wirelessly broadcast them. During the 30s and 40s the technology was gradually improved upon. 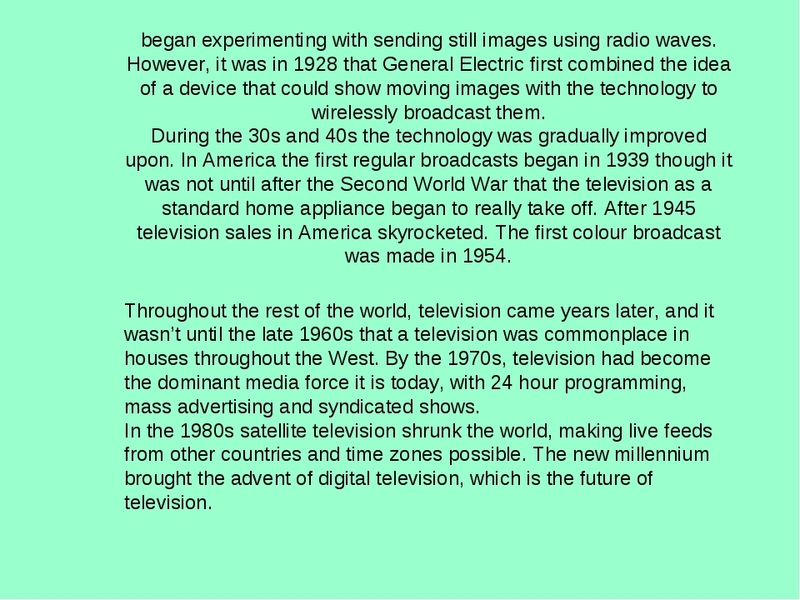 In America the first regular broadcasts began in 1939 though it was not until after the Second World War that the television as a standard home appliance began to really take off. After 1945 television sales in America skyrocketed. The first colour broadcast was made in 1954. 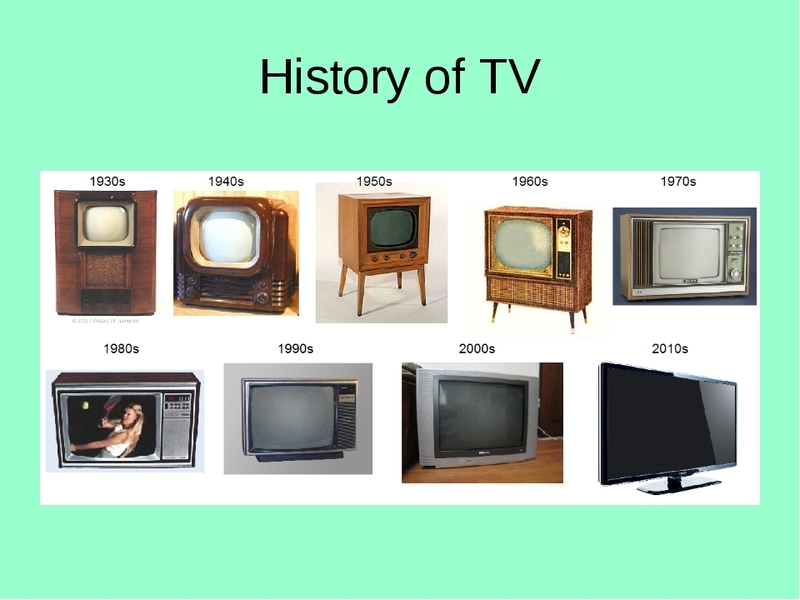 Throughout the rest of the world, television came years later, and it wasn’t until the late 1960s that a television was commonplace in houses throughout the West. By the 1970s, television had become the dominant media force it is today, with 24 hour programming, mass advertising and syndicated shows. In the 1980s satellite television shrunk the world, making live feeds from other countries and time zones possible. 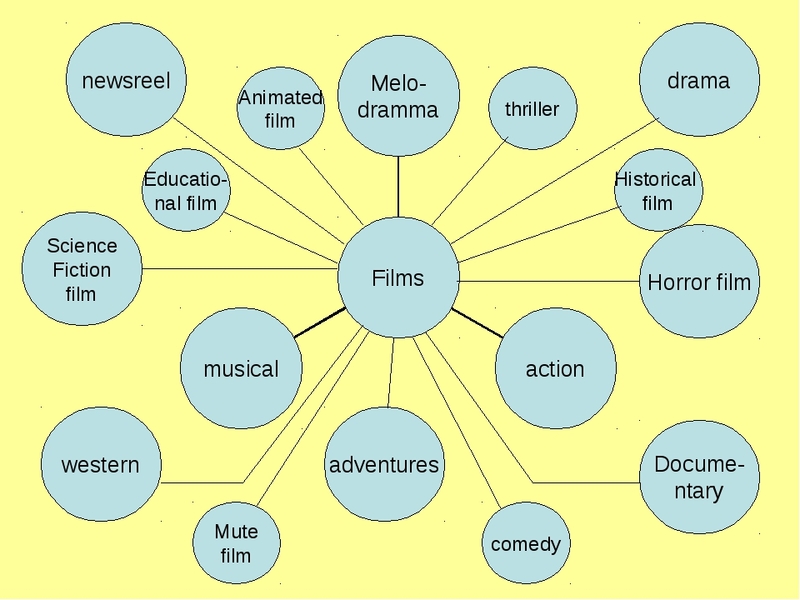 The new millennium brought the advent of digital television, which is the future of television. 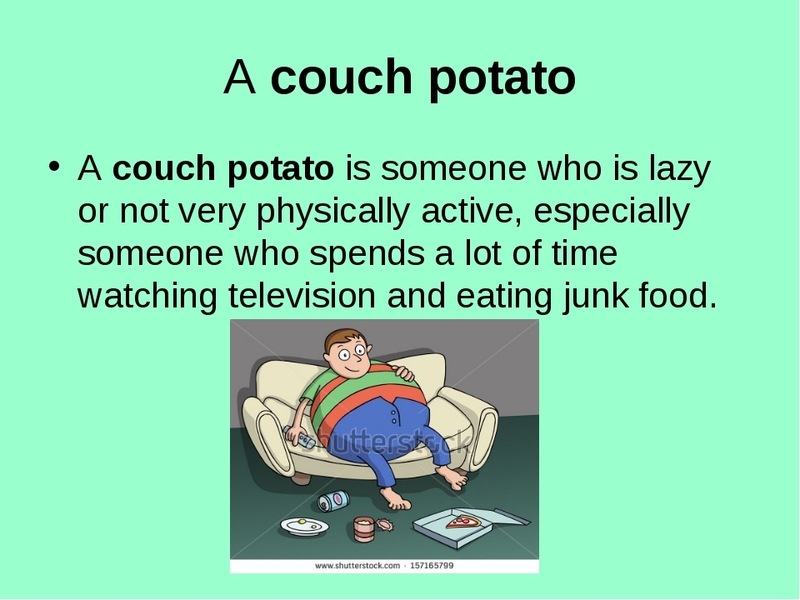 A couch potato A couch potato is someone who is lazy or not very physically active, especially someone who spends a lot of time watching television and eating junk food. Are you a “couch potato”? Maxim,11: I watch TV or video in the comfort of my home? When the weather is bad and people are inside anyway. 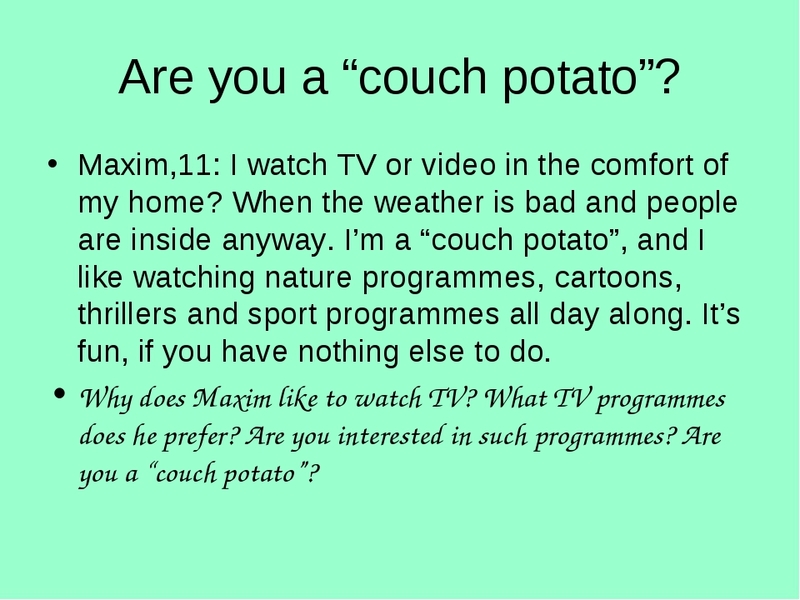 I’m a “couch potato”, and I like watching nature programmes, cartoons, thrillers and sport programmes all day along. It’s fun, if you have nothing else to do. Why does Maxim like to watch TV? What TV programmes does he prefer? 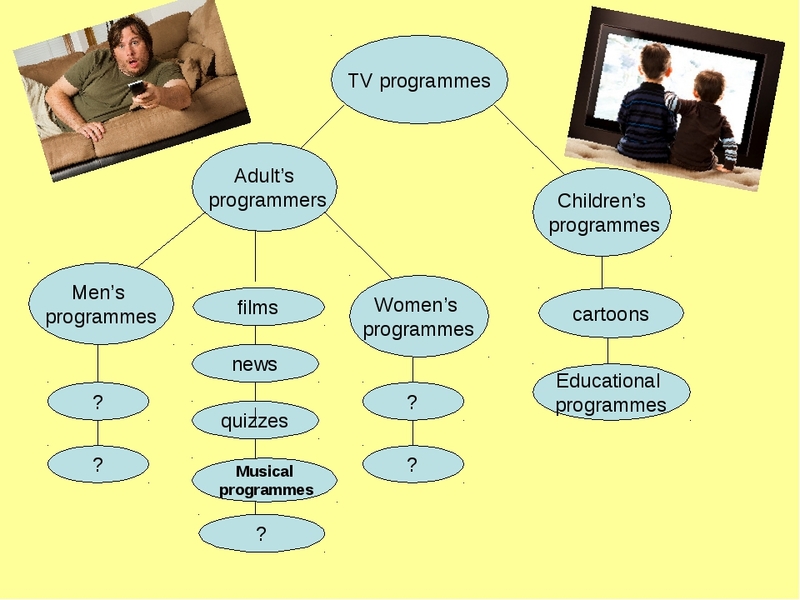 Are you interested in such programmes? Are you a “couch potato”? 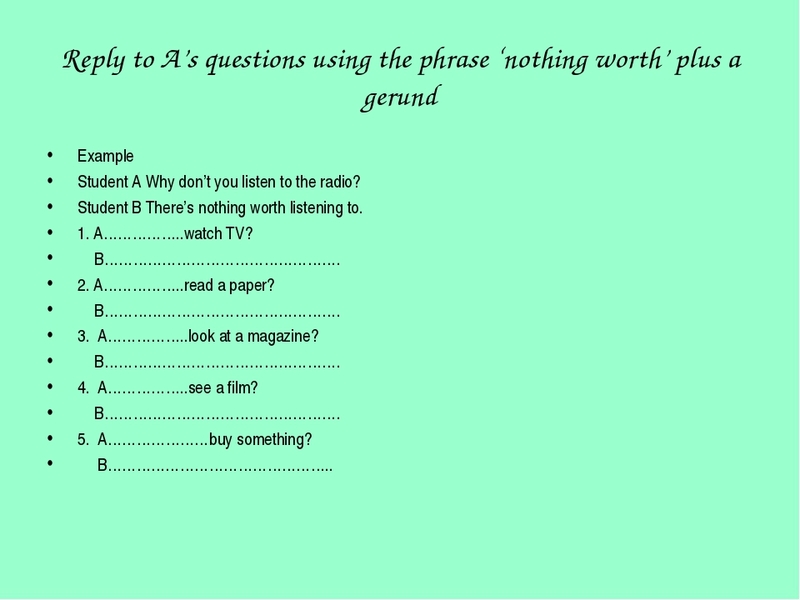 Reply to A’s questions using the phrase ‘nothing worth’ plus a gerund Example Student A Why don’t you listen to the radio? Student B There’s nothing worth listening to. 1. 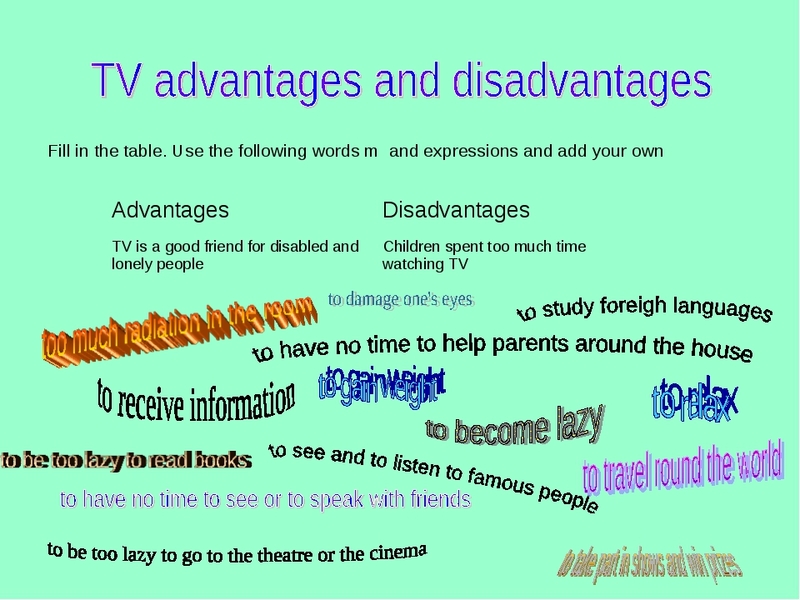 A……………..watch TV? B…………………………………………. 2. 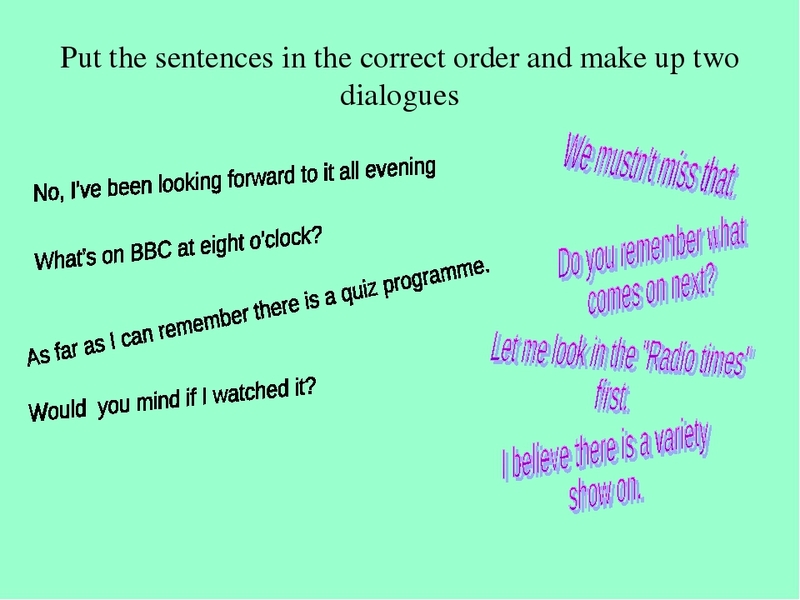 A……………..read a paper? B…………………………………………. 3. A……………..look at a magazine? B…………………………………………. 4. 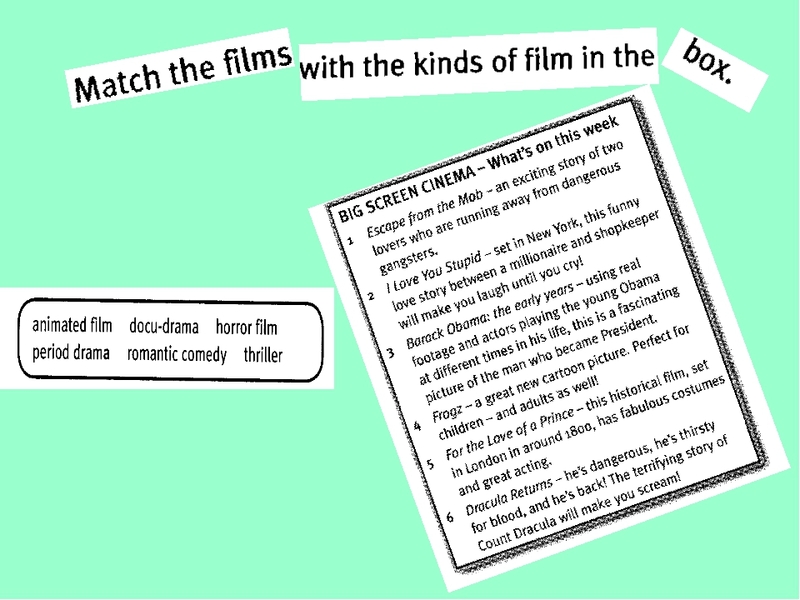 A……………..see a film? B…………………………………………. 5. A…………………buy something? B………………………………………..
Данная презентация включает краткую информацию об истории возникновения и развития телевидения, дает учащимся полную классификацию телевизионных программ и фильмов, содержит материал, позволяющий задуматься о недостатках и преимуществах телевидения. Учащиеся узнают о том, кто такой cauch potato и ответят на вопрос "А я cauch potato ". Работа включает задания для развития диалогической речи: дополнить диалог и расположить реплики диалога в правильном порядке. Презентация может быть использована при изучении темы "Телевидение " по учебнику М.З. Биболетовой в 6 или 8 классах в зависимости от подготовленности учащихся.